My Dad was a road racer all through college. Bikes have been a part of our life for as long as I can remember -- I started riding a bike when I was three, I think. I remember a time when my Dad mowed a track in the lawn because I wanted to ride all day and my parents needed a way to keep an eye on me. The track was down to the dirt by the time the sun went down. 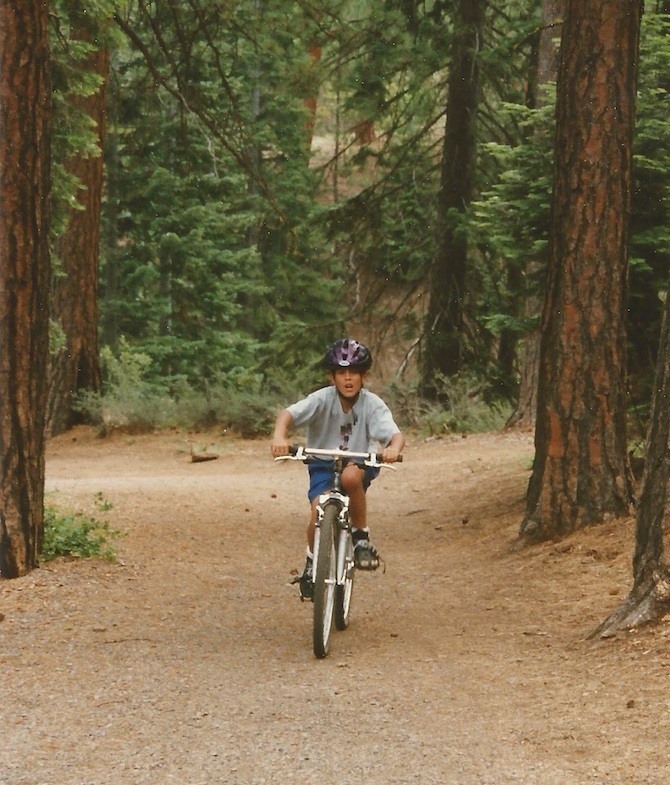 When I was six years old, we moved to the Pacific Northwest and tried mountain biking for the first time. I was on a small, bright blue five-speed that we bought from G.I. Joe’s and my parents tried to brave it on their road bikes – my Dad on a 1970 Raleigh Professional Mark II (which I still ride, only on the road). We fell in love with riding in the woods and explored the trails near our home. We camped a lot as a family growing up and my Dad and I would ride together. It was a great time to bond and he helped me progress quickly, he always knew just how far to push me and when not to. 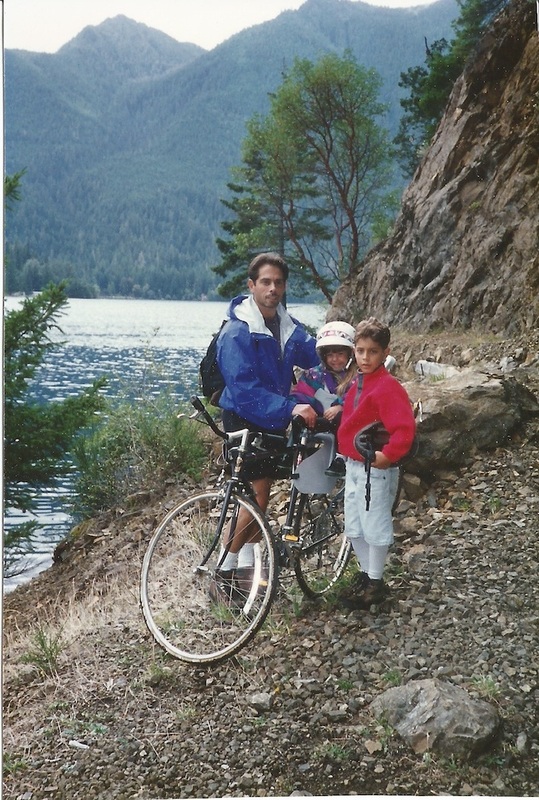 Another memory that stands out to me is when we went for a ride as a family on the Deschutes River Trail. There’s a really steep switchback incline coming out to the Benham Falls trailhead that I had a hard time riding up, but I tried over and over again as my family cheered me on. I finally did it! My dad also knew how to keep me in good spirits and get through a nasty wreck. My technical skills surpassed his fairly early on and when I would eat it he’d roll up with a smile on his face and say “awesome crash!” It took a while for me to keep up on the longer rides; if I couldn’t make it the whole way he’d ride back to get the car and pick me up at a road crossing. We rode the same trails year after year until I could ride the whole thing. Trails like the Deschutes River Trail (OR), McKenzie River (OR), Lewis River (WA) and Siouxon Creek (WA). It wasn’t long until we had a friendly competition going. Cycling has been a way for my Dad to stay in shape, spend time with his family and explore the areas where he lives. My parents are now retired in Bend, OR so there’s no shortage of places to ride on both road and trails. I think he also likes to relive the glory days of racing. If you ask him, he’s still faster than me.